The former is important because according to my wife I am an awful photographer (she's likely right). This is probably because I take the same approach to photographing people as I do to shooting cars. Namely, stand in the middle of the street, get as close to the ground as possible (slightly below street level ideally), and then throw every possible filter at the resulting image until it looks halfway decent. While this generally works for cars, most of my human portraits end up looking like some unintentional, cheap (and not at all artistic) imitation of an Andy Warhol pop art portrait. 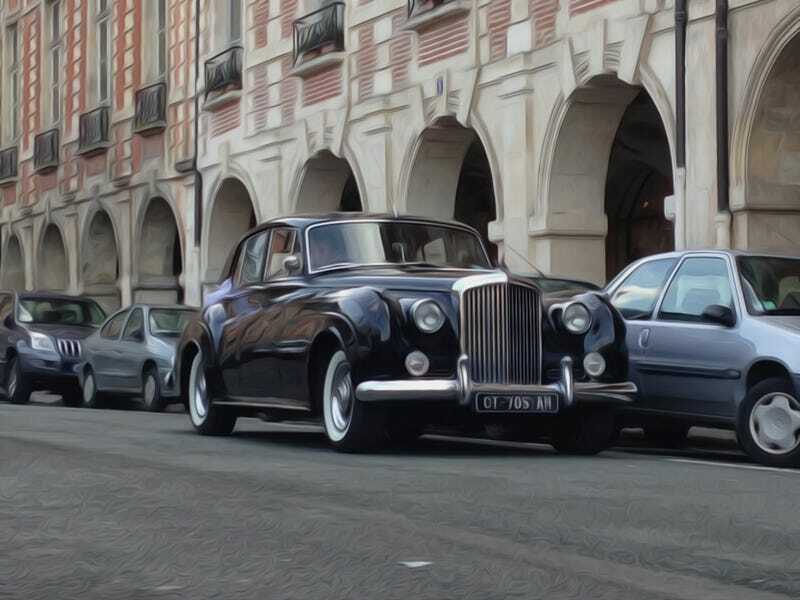 The latter is important because I'm sure that whomever owns said Bentley is acutely aware of the difference between his Bentley and the equally unreliable Rolls Royce Silver Cloud II. This is likely not limited to the fact that Bentley chose the more pedestrian "2″ in their model designation, while I can't help but identify the equivalent Rolls Royce as Silver Cloud, the Second. Fortunately (unfortunately? ), my depleted bank account does not discriminate. To be honest, I have no problem having fun at the expense of owners of early '60s British saloons as 1) they don't use the internet, and 2) if they did they would not have made it past my inability to correctly differentiate between whoever/whomever in the first sentence of the last paragraph. Crisis averted.